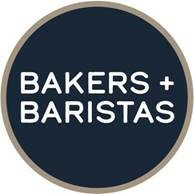 Bakers + Baristas is a fresh bakery and coffee operator with over 65 locations primarily in shopping malls and retail outlet parks in the UK and Ireland. Since Causeway’s investment, the business has delivered further growth, adding to the number of locations as well as acquiring a number of sites from a competitor. Additionally, Bakers + Baristas has implemented a refurbishment programme providing selected stores with a refreshed look and layout, while also refocussing the offering and brand towards a fresh bakery and coffee concept and implemented a rebranding. The business is led by James Fleming (CEO) and Dermot McMahon (CFO). Headquartered in Limerick, Ireland the group has over 300 employees.